The novel will help readers recognize and appreciate the sacrifice and fortitude of African Americans in the military. Can LT. Williams overcome racial prejudice in the Army? How far Black people have come in the U.S. military? Christopher C. Bell, Jr. makes readers ponder over the challenges faced by Colored soldiers’ years before the enactment of the Civil Rights Act through his novel “LT. William on the Color Front” (America Star Books; 2016). “LT. 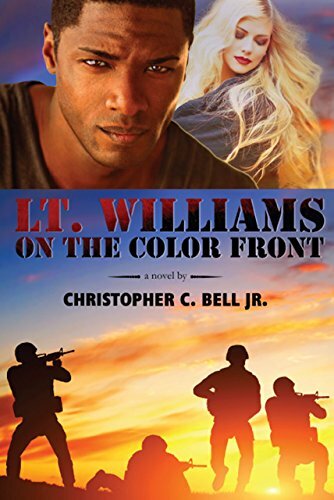 William on the Color Front” is partly based on the author’s own experiences as he was a lieutenant in the 1950s. The story occurs in 1950 – two years after President Harry S. Truman issued Executive Order 9981, which ended racial segregation in the military – and narrates the story of LT. Neal Williams, a young Colored platoon leader who struggles to lead an all-white Army Infantry Regiment in Germany. LT. Williams became one of the first Colored officers to be in charge of a platoon of White soldiers in a time when the Army would not let a Colored officer supervise white soldiers. They allowed Colored officers to supervise Colored soldiers, but not White soldiers. LT. Williams must resist and defeat the racist White officers’ schemes to prevent his success as a troop leader in their once all-white regiment. Will LT. Williams succeed and earn the respect of his fellow servicemen? What other challenges await him as platoon leader? Read all about it in Christopher C. Bell, Jr.’s “LT. William on the Color Front.” Order a copy today through Amazon and Barnes & Noble. Watch out for the public display of this historical fiction novel at the upcoming Los Angeles Times Festival of Books on April 13-24, 2019 at the University of Southern California in Los Angeles, CA. Written by Christopher C. Bell, Jr.
Christopher C. Bell Jr. is a poet, an essayist, an educationist, a novelist, a retired Army Major, a Doctor of Education (ED.D. ), and a Unitarian Universalist. He was born and raised in Norfolk, Virginia when racial segregation was the law of the land. He dodged most teenage hazards that befell many young Black men of his day and went off to college, Virginia State University. He graduated with a degree in chemistry and a commission as a second lieutenant in the U.S Army. He served in France, Korea, Germany, Vietnam, and Ethiopia. His military assignments opened his sensitivity and awareness to other cultures and people that moved him to try to write. After retiring from active duty, he earned a Doctorate (ED.D.) from Boston University’s Graduate School of Education. He later served in the U.S. Department of Labor in Washington, DC., and in the District of Columbia Public School System as a Program Coordinator.